Voted Best Series Ever Made. Unlikely to be beaten. Glorious new trailer comes from Starz today, along with the May 5th airing date, for the sequel to their successful White Queen and White Princess series, super epic THE SPANISH PRINCESS which is, technically speaking, a sort of a prequel to famous The Tudors! 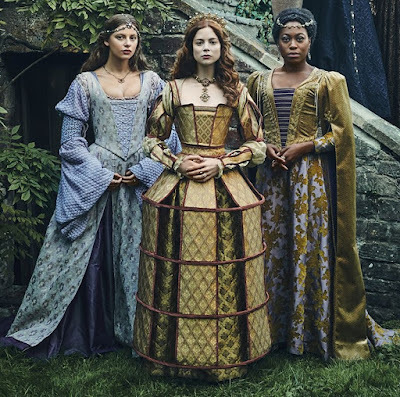 As you can see from the trailer the sets, cinematography, and costumes will be as lavish and breathtaking as they were in White Princess, one of the most beautifully done epic sagas we’ve ever seen. Count your days till spring when the new series airs! Poldark’s and Beowulf’s Stephen Woolfenden is directing! Click on the photo to enjoy the ladies in all their glory! 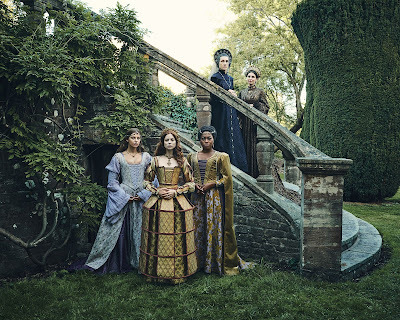 The series is based on Philippa Gregory’s best selling historical book! trailer below for the new series! White Queen and White Princess scribeEmma Frost and Matthew Graham are already planning adaptations of Philipa Gregory’s novels Constant Princess and King’s Curse. IS ROBERT THE BRUCE AGAIN! 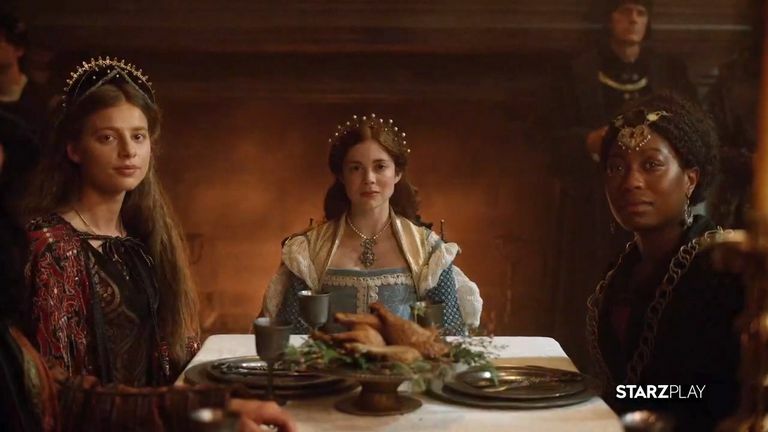 Gabriel Bateman, Talitha Eliana Bateman, Emma Kenney, Mhairi Calvey as Robert’s wife Elizabeth de Burgh, and Kevin McNally. Mhairi Calvey plays Robert’s wife Elizabeth de Burgh! She also starred in Braveheart as a younger version of William Wallace’s wife! Morag (Anna Hutchinson) and her fearless children. Restored to health and spurred on by this humble family’s resilience and courage, Bruce finally finds the resolve to rally his people and lead his country to hard-fought independence. DESTINY IS ALL! 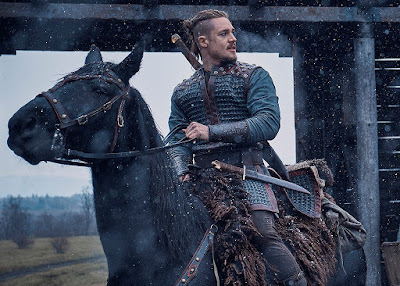 NETFLIX RENEWS THE LAST KINGDOM EPIC TV SAGA FOR SEASON FOUR WITH ALEXANDER DREYMON, DAVID DAWSON! GETS SEASON 4 AT NETFLIX! renewed their super popular historical saga THE LAST KINGDOM for the fourth season (I’ve heard rumors, but don’t tell anyone, that they’ve actually secretly ordered the fifth season as well)! And you know what this means: you watched the third season, which is currently airing on Netflix, in great numbers! not much peace for the courageous 10th century knight who still believes in his motto Destiny Is All! Will he finally win his father’s land of Bebbanburg and become the lord of his own kingdom? Will he find yet another wife? PHOTOS FROM THE CZECH EPIC! 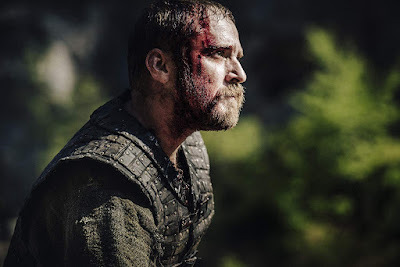 First photos coming from the sets of new historical adventure MEDIEVAL which sees American actor Ben Foster playing Czech national hero and warlord Jan Zizka who was a powerful figure in the famous Hussite wars in the medieval times. 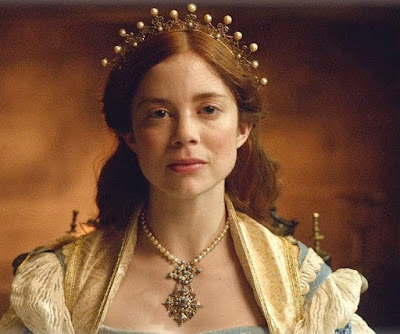 With the massive budget of about $20 million, the new historical movie is currently shooting on the sets near Prague and around Czech republic. Superhunky Czech actor and judo champion Petr Jakl is both writing and directing the movie! He is not the only athlete in the production as legendary Czech decathlon world recorder Roman Sebrle is also in the cast! 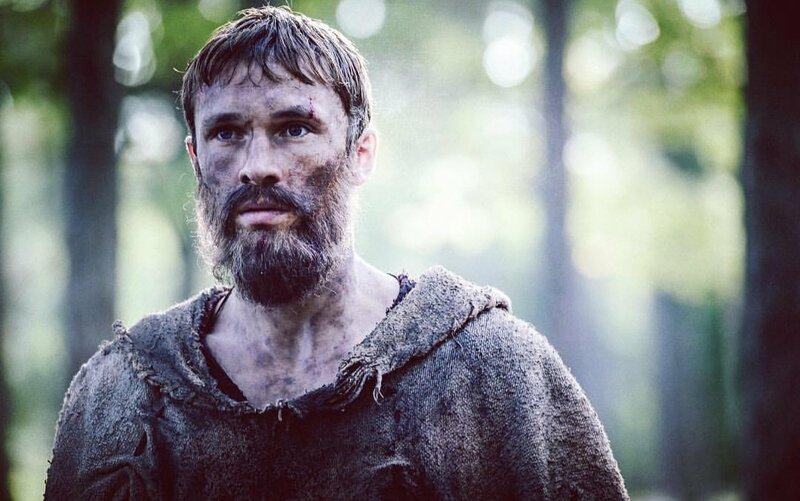 William Moseley, Ben Foster and Michael Caine in the film! Til Schweiger is the richest man in the country in the film! William Moseley plays Jan’ brother, brave Jaroslav! MEDIEVAL will follow their 14th century national hero Jan Zizka of Trocnov (Ben Foster), a revered military tactician who defeated armies of the Teutonic Order and the Holy Roman Empire. He is known for his innovative strategies and for quickly training peasants to face skilled and armoured opponents who usually outnumbered his own troops. The historical adventure film will also have another storyline which will revolve around his relationship with king’s lover, a rich heiress Catherine (Sophie Lowe), whom he is sent to save but unexpectedly falls in love with her, while another storyline will describe his fight against a rival king. Ben Foster takes the lead role of Jan Zizka! Michael Caine plays Lord Boresh in the medieval adventure! WHO ELSE IS IN THE CAST? Our favourite William Moseley plays Jan’s brother Jaroslav, legendary Michael Caine is Lord Boresh the right hand of Czech King Wenceslaus and German superstar Til Schweiger is Rosenberg, the richest lord in the kingdom. 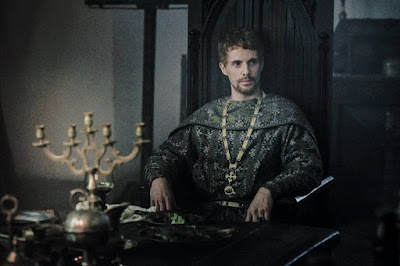 British thespian Matthew Goode will portray King Sigismund of Hungary and Croatia, the brother of Czech King Wenceslaus, and if my eyes are not playing with me he will have a blondish hair in the movie! Czech actor Karel Roden is playing King Wenceslaus himself! Spoken in the English language. Releases in 2019. Unknown distribution and dates. Roman Sebrle is an athlete from the Czech Republic. He is considered to be one of the best decathlon athletes of all time. Originally a high jumper, he competes in decathlon and heptathlon for team TJ Dukla Praha and is a former world record holder in the decathlon. In 2001 in Götzis he became the first decathlete ever to achieve over 9,000 points, setting the record at 9,026 points, succeeding his compatriot, Tomás Dvorák, who had scored 8,994 points two years earlier. After placing second in the decathlon during the 2000 Summer Olympics, Sebrle won the gold medal in the 2004 Summer Olympics. Tradition dictates the winner of the decathlon holds the title of “World’s Greatest Athlete”. Sebrle has held the title five of the past seven years. 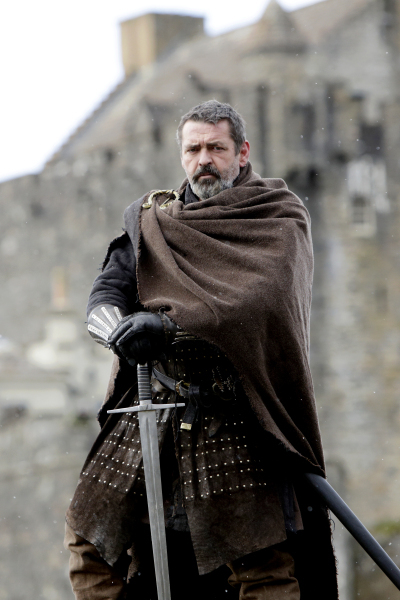 In the year 1199, Robin Longstride (Russell Crowe) serves as a common archer in the army of King Richard the Lionheart (Danny Huston). 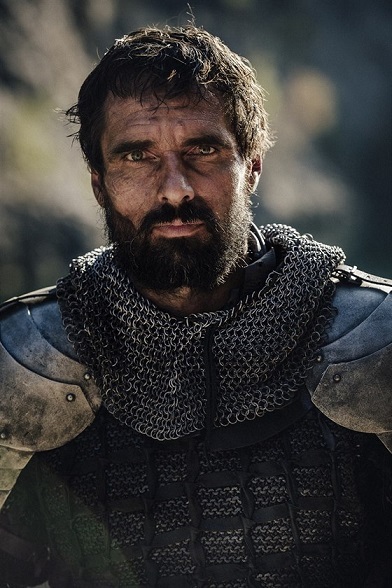 A veteran of Richard’s crusade, he now takes part in the siege of Chalus Castle. 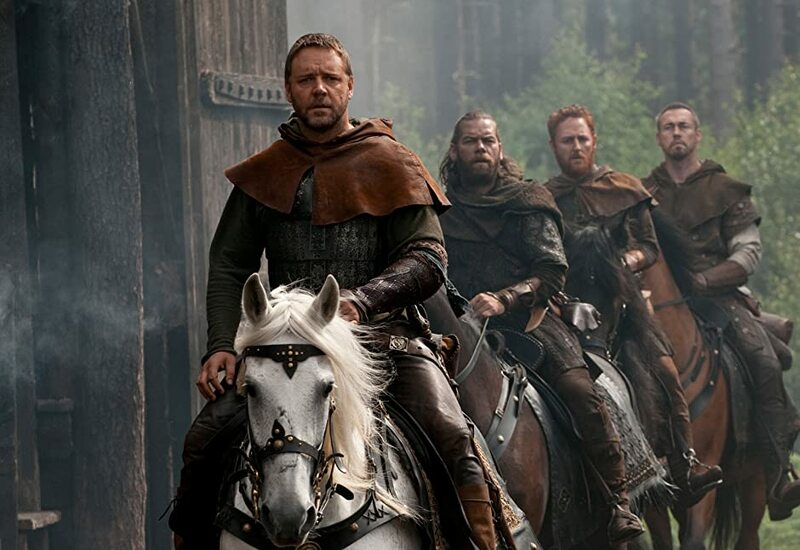 Disillusioned and war-weary, he gives a frank but unflattering appraisal of the King’s conduct when the King asks his opinion, and Robin and his comrades—archers Allan A’Dayle (Alan Doyle) and Will Scarlett (Scott Grimes) and soldier Little John (Kevin Durand)—find themselves in the stocks. When the King is slain during an attack on the castle, Robin and his men decide to free themselves and desert. They come across an ambush of the English royal guard by Godfrey (Mark Strong), an English knight who has conspired with King Philip of France to assassinate King Richard. After chasing Godfrey away, Robin decides to take advantage of the situation by having his men impersonate the dead English knights to return to England. 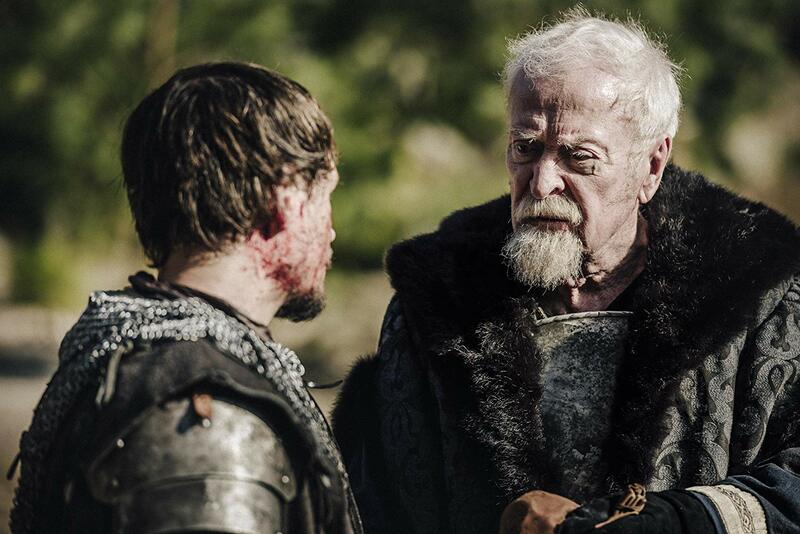 Before they depart to sail across the Channel, Robin promises one of the dying knights, Sir Robert Locksley (Douglas Hodge), to return his sword to his father in Nottingham. Awaking to find his party in the Thames estuary, Robin must continue to assume the identity of Locksley to inform the royal family of King Richard’s death. 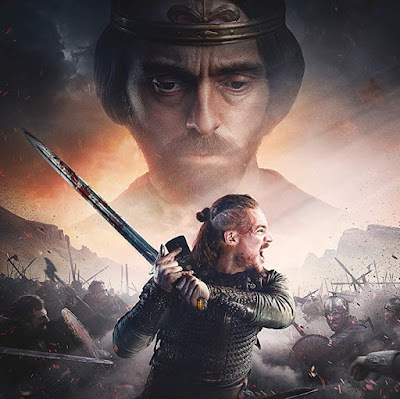 He witnesses the coronation of King John (Oscar Isaac), who orders the collection of harsh new taxes and dispatches Godfrey to the North to do so—unaware that Godfrey will instead use French troops to stir up unrest and to prepare for King Philip to invade England. Robin and his companions head to Nottingham, where Locksley’s elderly and blind father, Sir Walter (Max von Sydow), asks him to continue impersonating his son to prevent the Crown from seizing the Locksley family lands. 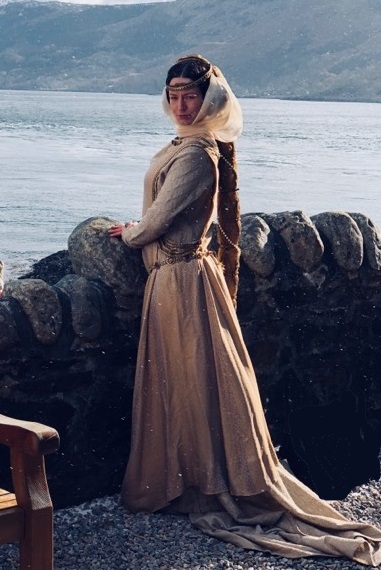 Locksley’s widow, Lady Marian (Cate Blanchett), is initially cold toward Robin, but warms to him when he and his men merrily recover tithed grain for the townsfolk to plant. Godfrey’s actions incite the northern barons, who march to meet King John. Speaking now for Sir Walter, Robin proposes that King John agree to a charter of rights to ensure the rights of every Englishman and to unite his country. Having realized Godfrey’s deception, and knowing he must meet the French invasion with an army, the King agrees. Meanwhile, French marauders plunder Nottingham. Robin and the northern barons arrive to stop Godfrey’s men, but not before Godfrey has slain the blind Sir Walter. This is certainly a cherry on top of the cake! 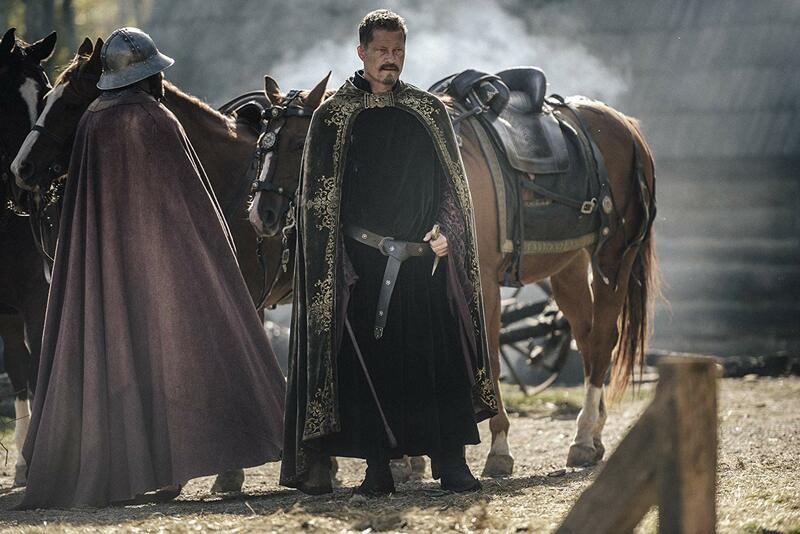 Rumour has it that Matthew Goode has just joined Czech MEDIEVAL epic movie in a very royal role! He will join Ben Foster, Michael Caine, William Moseley, Til Schweiger, as King Sigismund of Hungary and Croatia, the brother of Czech King Wenceslaus! MEDIEVAL will follow their 14th century national hero Jan Zizka of Trocnov (Ben Foster), a revered military tactician who defeated armies of the Teutonic Order and the Holy Roman Empire. He is known for his innovative strategies and for quickly training peasants to face skilled and armoured opponents who usually outnumbered his own troops. 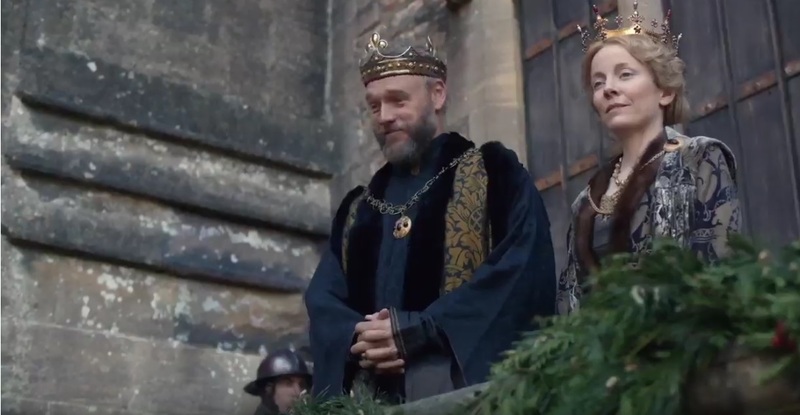 The film will also depict his relationship with king’s lover Catherine (Sophie Lowe) whom he is sent to save but falls in love with her, and his fight against a rival king. 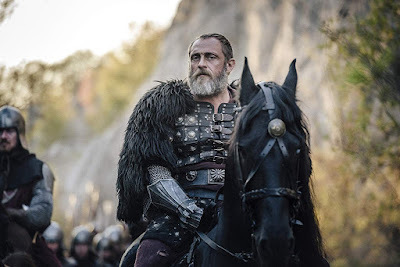 William Moseleyplays Jan’s brother Jaroslav, Michael Caine is Lord Boresh the right hand of King Wenceslaus and Til Schweiger is Rosenberg, the richest lord in the kingdom. 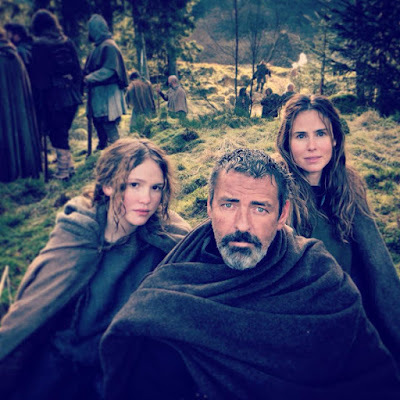 A new photo has been released from the set of the third season of our beloved mediaeval action adventure series THE LAST KINGDOM which is currently in production after a very long wait. 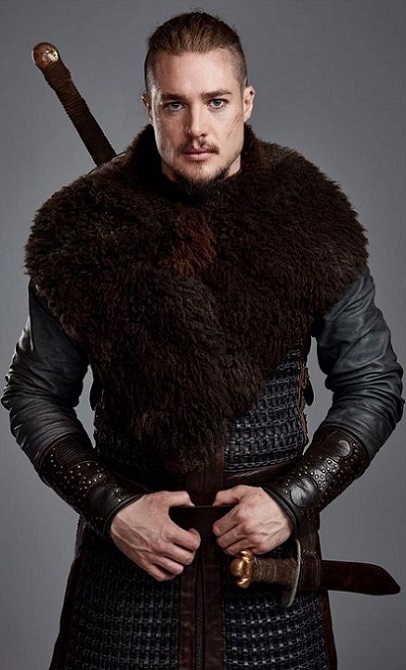 It shows Alexander Dreymon as brave Uhtred of Bebamburgh! The series set in the 9th century when separate kingdoms were fighting against invading Danes will also see David Dawson return as King Alfred. 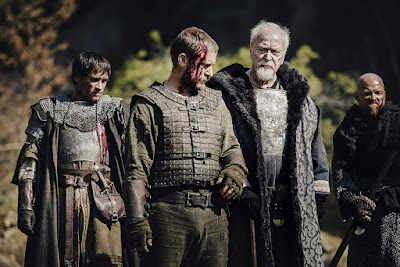 Netflix will air the season probably sometime next year based on Bernard Cornwell’s novels. Netflix is preparing fantasy historical serial CURSED based on Arthurian legends and now they’ve cast 13 Reasons Why’s Katherine Langford as famous Lady of the Lake, Nimue! Zetna Fuentes will direct and executive produce the ten-part series. CURSED is, as ‘Deadline’ reports, a re-imagination of the Arthurian legend, told through the eyes of Nimue (Katherine Langford), a teenage heroine with a mysterious gift who is destined to become the powerful (and tragic) Lady of the Lake. After her mother’s death, she finds an unexpected partner in Arthur, a young mercenary, in a quest to find Merlin and deliver an ancient sword. Over the course of her journey, Nimue will become a symbol of courage and rebellion against the terrifying Red Paladins, and their complicit King Uther. It is a coming of age story whose themes are familiar to our own time: the obliteration of the natural world , religious terror, senseless war, and finding the courage to lead in the face of the impossible. Beautiful new epic series to announce for you after a whole week of brilliant news from the historical series front! 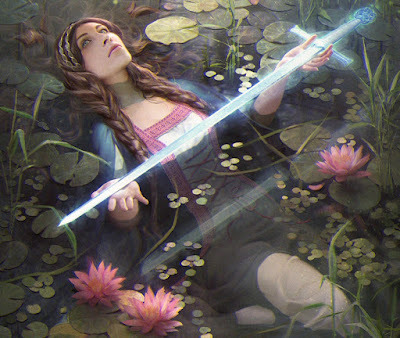 ‘Deadline’ reports that Netflix has ordered a ten episode TV adaptation of CURSED following Lady of the Lake from Arthurian legends. CURSED, based on Frank Miller (300, Sin City, Ronin) and Tom Wheeler’s upcoming illustrated YA book of the same name, is told through the eyes of Nimue, a teenage heroine with a mysterious gift who is destined to become the powerful Lady of the Lake. After her mother’s death, she finds an unexpected partner in Arthur, a young mercenary, in a quest to find Merlin and deliver an ancient sword. Over the course of her journey, Nimue will become a symbol of courage and rebellion against the terrifying Red Paladins, and their complicit King Uther.